Dr. Sedaghat offers treatment options for people with knee pain in Irvine, California. The treatment options he provides through Pacific Pain Clinic are designed to improve mobility and reduce discomfort for patients from throughout Orange County, including cities such as Costa Mesa, Huntington Beach, Newport Beach, and Santa Ana. Knee pain can develop for a number of reasons. However, one of the most common causes of knee pain is osteoarthritis. This develops when hyaluronan, the lubricating substance in the knee, drops to a low level. Patients with osteoarthritis often feel pain and stiffness both with and without movement. They may also notice a clicking sound or a grating feeling in the knee. Other sources for knee pain can be meniscal injury or injury to the ligaments. Patients with osteoarthritis may benefit from Hyaloronate injections such as Supartz, Hyalgan, Synvisc, or orthovisc. These injections which are very similar lubricate the joint and cause less pain and stiffness. At the same time lubricating the joint surfaces slows down the degenerative changes. Some patients may benefit from steroid injection at the acute phase of the pain when there is swelling and inflammation in the joint. This will resolve the acute inflammation and make the patient ready to receive Hyaloronate injection. Particular patients with arthritis or injuries may benefit from PRP (Platelet Rich Plasma) treatment. Pain, swelling, redness/warmth/bruising at the injection site or headache may occur. Remember that your doctor has prescribed this medication because he or she has judged that the benefit to you is greater than the risk of side effects. Many people using this medication do not have these side effects. Back pain, severe headache, fever, tingling skin are less frequent potential side effects may occurred. Allergic reaction including, not limited to rash, itching swelling (especially of the face tongue/ throat), trouble breathing. If a patient's knee pain is not caused by osteoarthritis, other types of treatment are available. For example, patients who are experiencing knee pain because of an injury may benefit from PRP. Platelet Rich Plasma, or PRP, is an innovative new therapy available from Pacific Pain Clinic in Huntington Beach, California. This therapy is a minimally-invasive option for patients dealing with pain related to an injury. 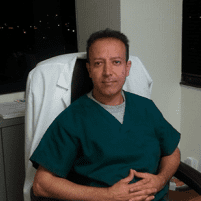 How Does Dr. Sedaghat Approach Knee Pain Treatment? Dr. Sedaghat always explores the most conservative treatment options first. If the conservative options aren't appropriate or successful, he will move on to more advance therapies. When deciding on the right treatment plan, Dr. Sedaghat always takes his patient's history and treatment goals into consideration in order to find the options that will be most effective.